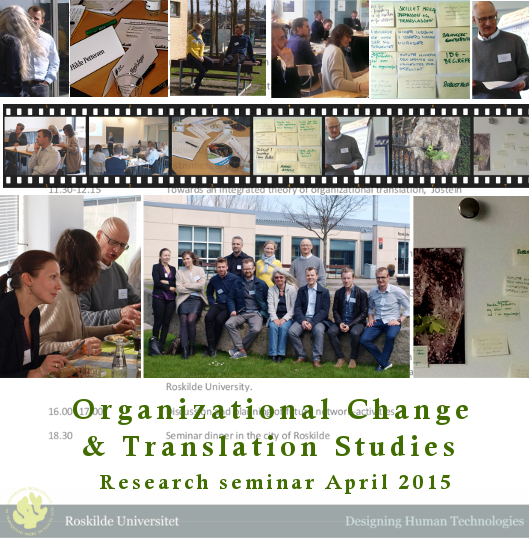 The researchers from the DHT project “The Robust Organizational Translation Network” held a research seminar “Organizational change as translation” on the april 23rd – 24th at Roskilde University. The seminar was kicked off with a presentation by the participants, and a reflection on the translation perspective contribution on organizational studies. Subsequently a series of presentations were presented by various participants. Jostein Langstrand from Linköping University held a presentation “Towards an integrated theory of organizational translation”. This was followed by Søren Obed Madsen from CBS who explained “What’s in a strategy – Ways to get lost in the translation of the strategy”. Peter Hagedorn Rasmussen and John Damm Scheuer contributed afterwards with the presentations “Weaving with text – Managers who create context through authorship” and “Translating and constructing a risk-management system – empirical insights and implications for translation studies”. The day ended with a discussion and planning for future networking activities. The seminar continued on the 24th with three additional presentations. Birgit Jæger from Roskilde University contributed with ”Partnership as a Vehicle for Collaborative Innovation”. Followed by Kristian Gylling Olesen from the Metropolitan University College, who held the presentation “Student plan intentions – student plans in-tension – Student plans as responsive management plans”. The seminars last presentation was given by Anne Mette Møller from the University of Copenhagen on “Translation of evidence-based practice in social care concerning children and youth at risk”. 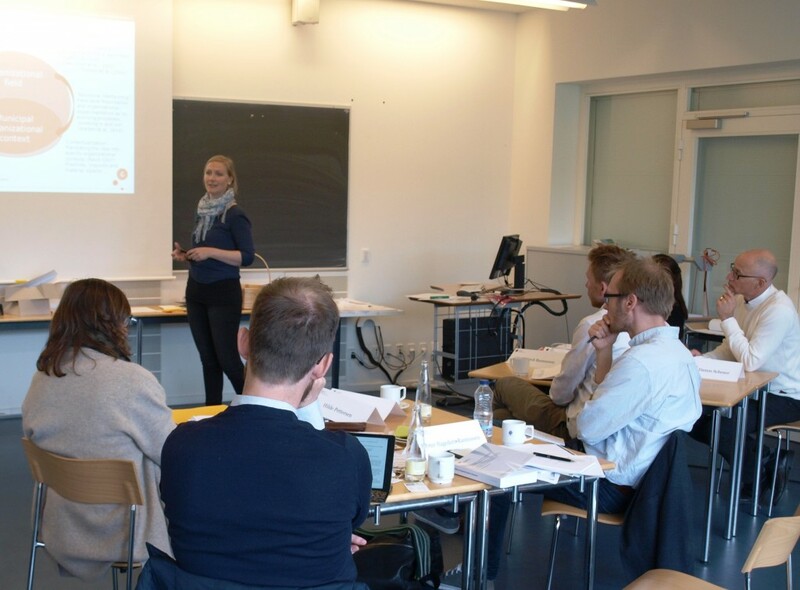 The seminar ended with a brief summary and some words about the network’s future plans, that included plans to meet at the Norwegian organization research conference in Tromsø in November 2016.